Screening and a letter writing event at Columbus, Ohio was well attended and people there wrote letters to the Cleveland 4. 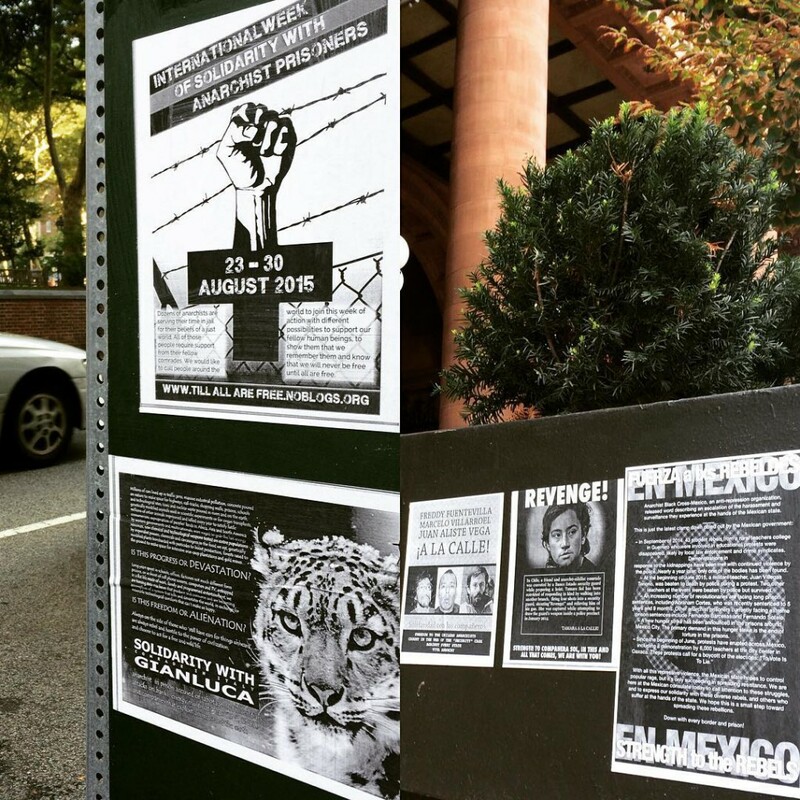 In Philadelphia, people have put up posters for international prisoners around different neighborhoods in Philly, West Philly, Center City and Grey’s Ferry. There was also going to be a letter writing and information night, but, it was canceled due to a last minute emergency. 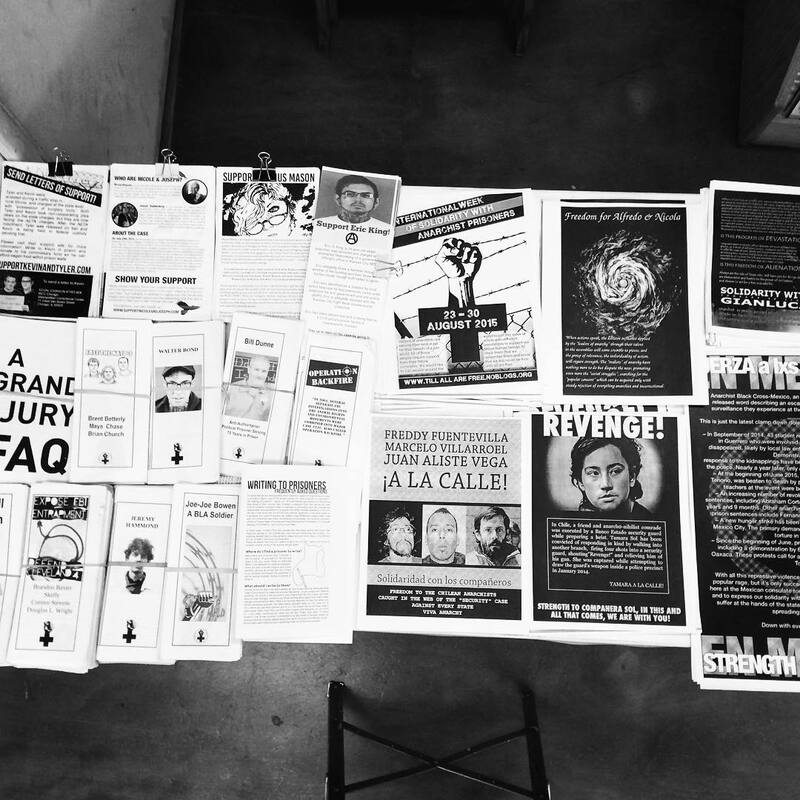 Posters were in solidarity with Tamara Sol and those arrested in the security Case in Chile, Alfredo and Nicola, and Gianluca in Italy, as well as a general poster about multiple kinds of repression in Mexico. 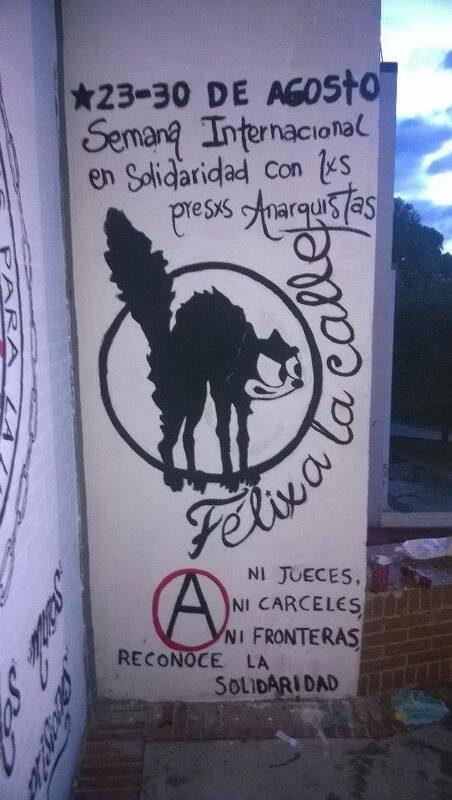 In Colombia there was some graffiti made, information day was occurred and special anti-prison brochure “Derriba los muros” (“Shoot down the walls”) entirely written by the CNA/ABC Bogotá was published. As follow up for movie screening in Riga, Latvia the film “Cutting Edge: Confessions of an Undercover Cop” was shown in two different locations: in “Chomsky Bar” and in “Books, Tea, Coffee” club. The audience in both places was not numerous but those who came saw the film with big interest. The series of deliveries of brochures and books to further deepen together in abolitionism topic and prisoner’s solidarity was made in Venezuela by some individuals. They began these deliveries with the booklet “Unruly conspiracy, anarchist riot and evasion in French Guyana”, that could be readed online here. Note: some actions was not mentioned here as they has complete reports, and you can find them in the News section. * This post might be updated later. Till all are free, Proudly powered by WordPress.